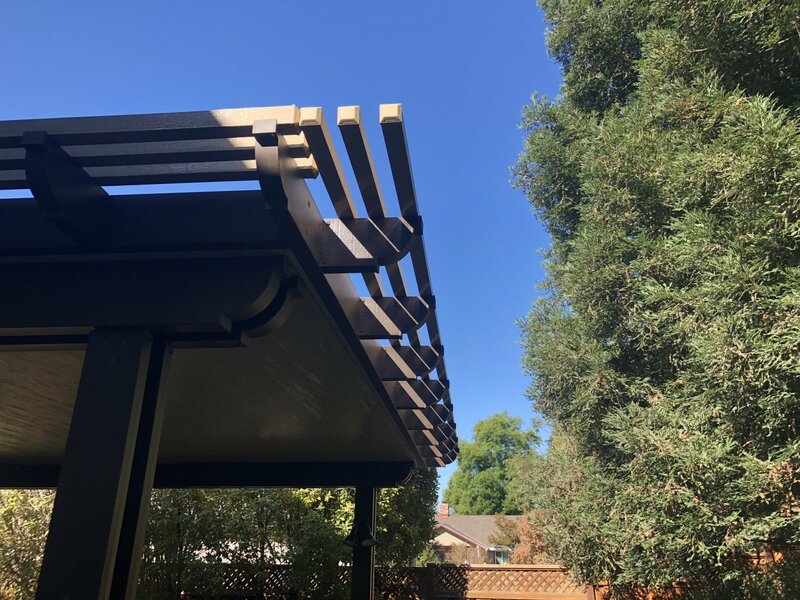 "Mike O’Neil and his team at Forever Greens just completed our patio renovation. Although my photos don’t do justice, they performed beyond expectations! 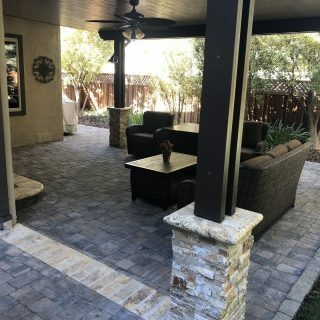 New Pavers added, New Patio Cover added and renovated many other distressed areas of our yard. I can’t start to compliment them enough for their help from ...continued"
This is outside living at its best. 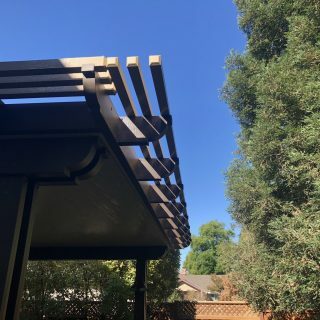 Sitting under the beautiful attached solid patio cover in Siennawood (Spanish brown) color. The posts are enhanced with the Tuscany Scabas veneer stone. 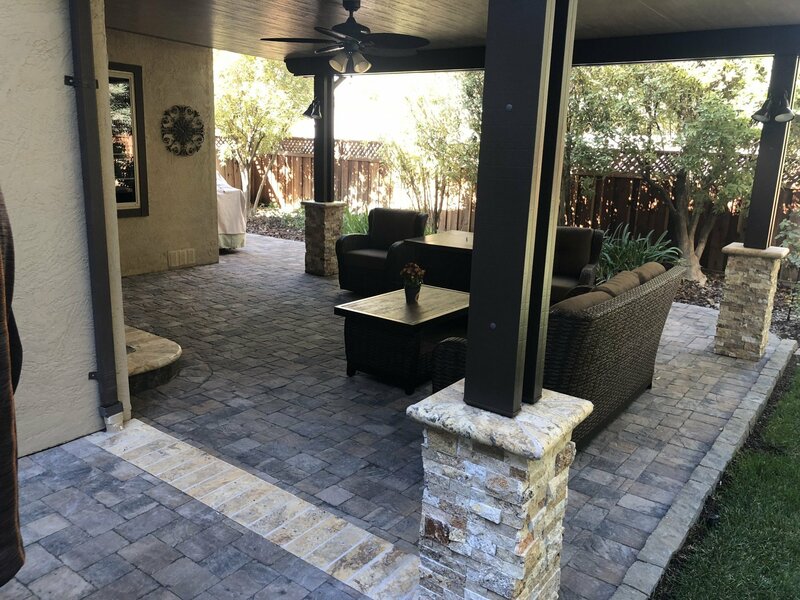 The flooring installed is Calstone Quarry stone pavers in oak barrel gray color. Custom lighting, and fan were also added. 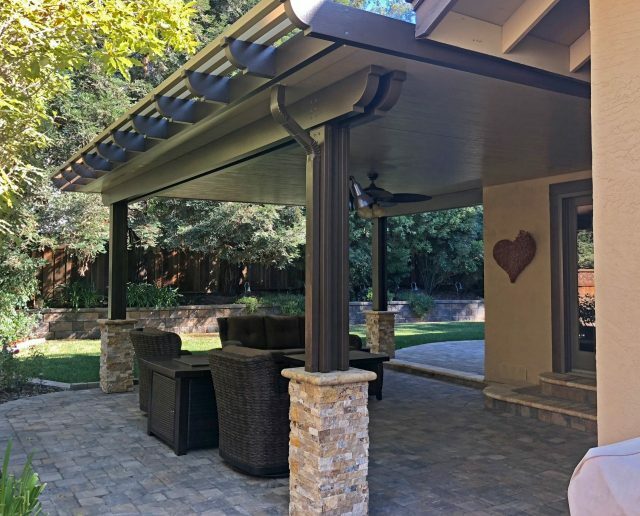 All these beautiful features make it very inviting to sit out and enjoy your favorite Game on the big screen TV or just sitting back and enjoy the company of good friends and family.